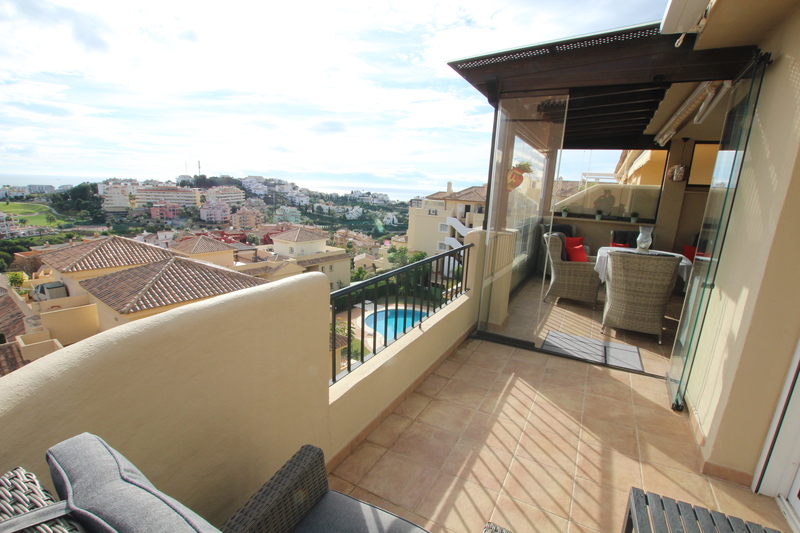 An immaculate corner duplex penthouse with amazing sea and golf views – sun from dawn until dusk! On the lower level there is a new fully fitted kitchen with a utility room, 2 bedrooms, a new bathroom with a large walk in shower, a bright living room and access to a spacious part covered and part open terrace with lovely views. Recently refurbished inside with beautifully decorated kitchen and bathrooms. The current owner has also installed new air conditioning units, re-tiled the terrace and installed electrical blinds and led-lights as well as a modern fireplace. 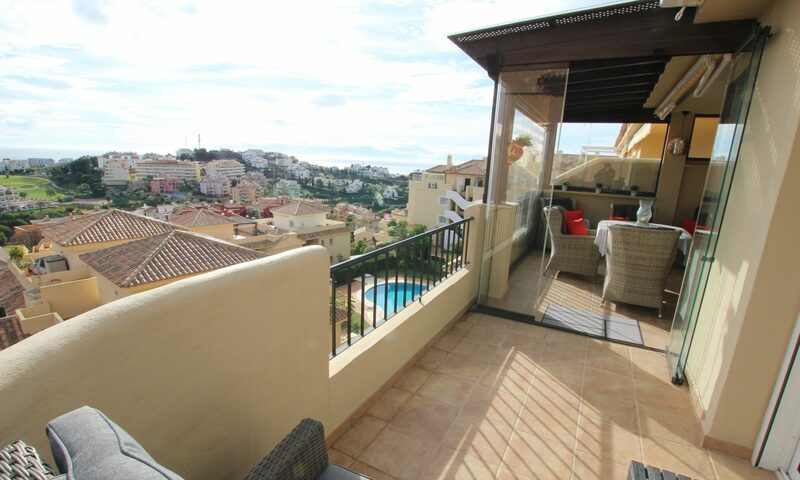 Up the internal staircase you have the en suite master bedroom with a large terrace that wraps around the side to the front, again there are lovely views and from here you get the sun all day long. In the basement of the building there is a large private parking space and store room which is accessed by the lift. From here there is access to the communal pool with a large sun terrace. Located in the middle part of Riviera del Sol, the beach is a three minutes drive and the shops, bars and restaurants are a twenty minutes walk. Malaga airport is a 25 minutes drive and the towns of Marbella and Fuengirola are just a 10 minutes drive. Viewings are highly recommended!